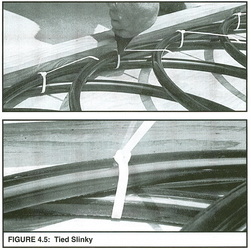 A slinky loop of fluid-filled pipe performs the same function as any other horizontally-deployed ground loop pipe in a ground source heat pump system. 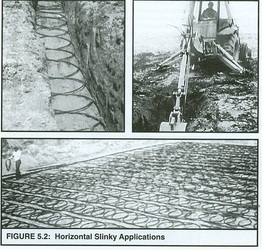 But the slinky is different than straight pipe runs in that for the same amount of ditch length, one can alter the spacing between pipes more uniformly than with multiple pipe loops at the same depth, and with better thermal performance than straight pipe runs at multiple depths in the same ditch. 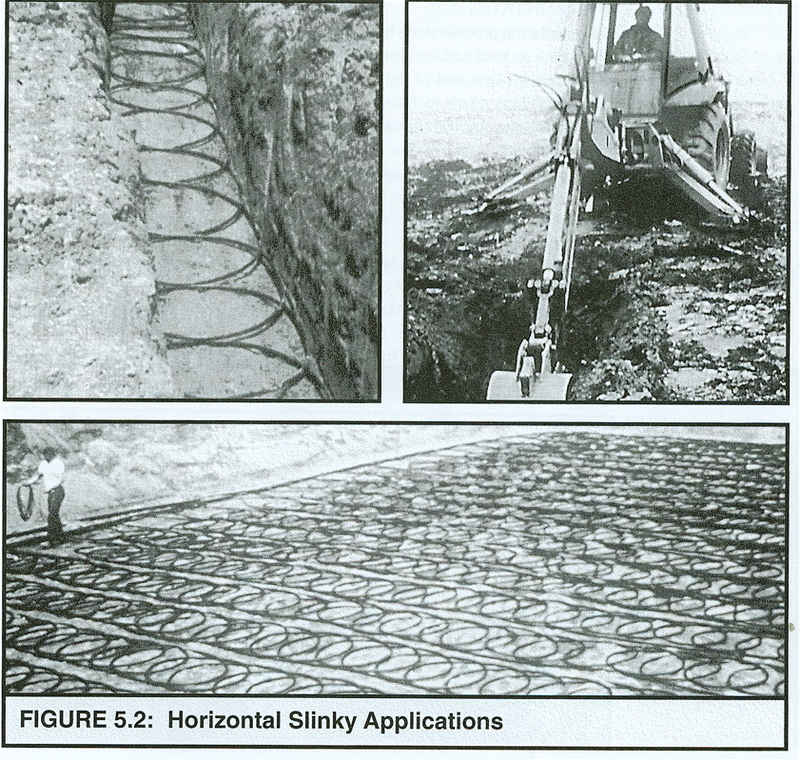 What is commonly called a 6-pipe loop system (three to-from circuits in a single trench) would give you six feet of pipe-to-soil contact per lineal foot of ditch. Compare that to the example below with 36" slinky coils at a 15" pitch. 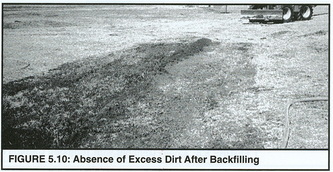 It scores 9.3 feet per lineal foot of ditch. If what you want is strong temperature draw on surrounding soils, the slinky is your friend. 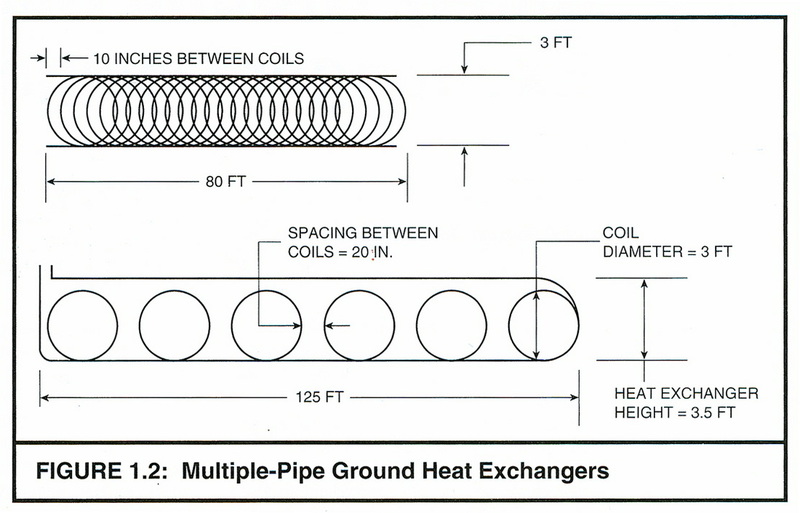 Heat exchange under the ground depends on two overall immutable rules. 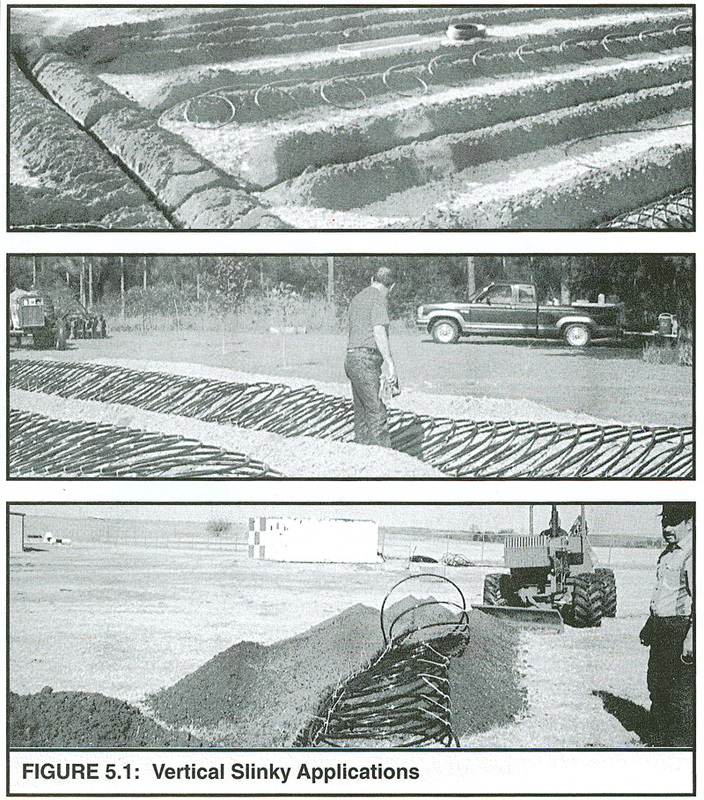 They are delta-T (the difference in temperature between the ground and the circulating fluid in the ground loop pipe) and thermal conductivity (the overall rate of transfer possible through the ground and the HDPE piping to the circulating fluid). These relationships are tied to thermodynamics, mathematics, and engineering. But if that worries you—just remember, these principles also control everything about the car you drive, and you seem to be fine with THAT. And as with your car, someone else has pioneered the tedious stuff so that you can heat and cool your home with dirt (on the cheap). The probable historical and continuing leader for the science underlying the ground source heat pump is Oklahoma State University in Stillwater, OK. They have performed research and developed a network of experts through IGSHPA (The International Ground Source Heat Pump Association) that has perfected, translated, and distributed this valuable science to the rest of us. 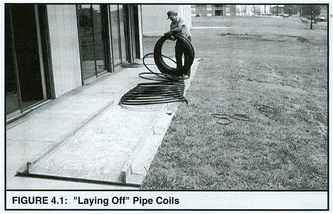 Their efforts (in keeping with their charge as a land-grant university) have made possible a wide variety of publications and training that have built a more professionally-anchored class of ground loop designers, installers, marketers, and contractors who expand the reach of this very important, energy efficient technology. Residential, multi-family housing, commercial buildings, and retrofit conversions of all of these types of structures proceeds faster because of what OSU has developed. 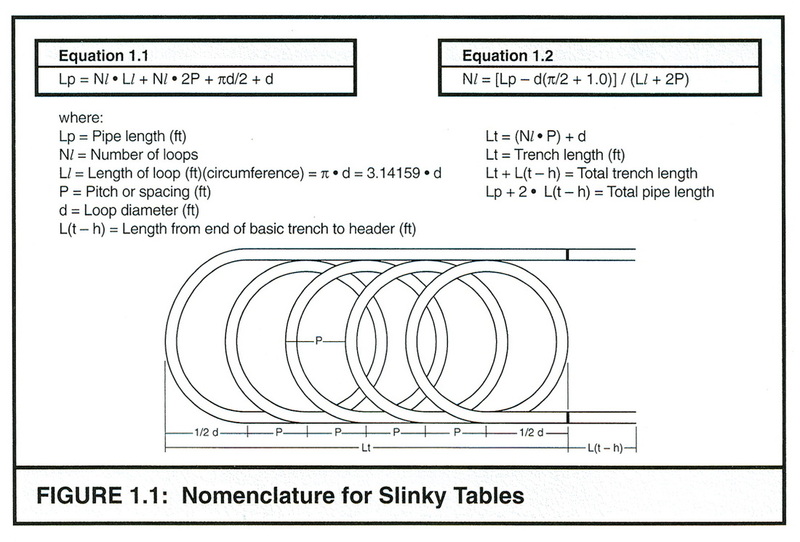 An example of their work is found below in the guidelines for developing and placing underground "Slinky" coils. A direct link to them is found thru the Helpful Links Page of this Web site in the section on Heat Pump—related Organizations. 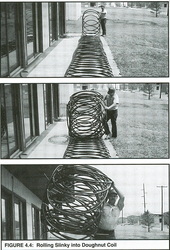 Martin Energetics is using imagery from this publication in keeping with the underlined section (below). Copyright 1994 by Oklahoma State University. 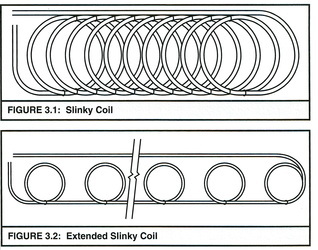 Slinky is a registered trademark of James Industries, Slinky Avenue, Hollidaysburg, PA 16648. 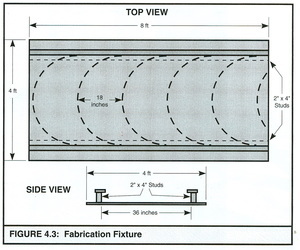 Reproduction in whole or in part strictly prohibited without prior written approval of Oklahoma State University, except that reasonable portions may be reproduced or quoted as part of a review or other story about this publication. 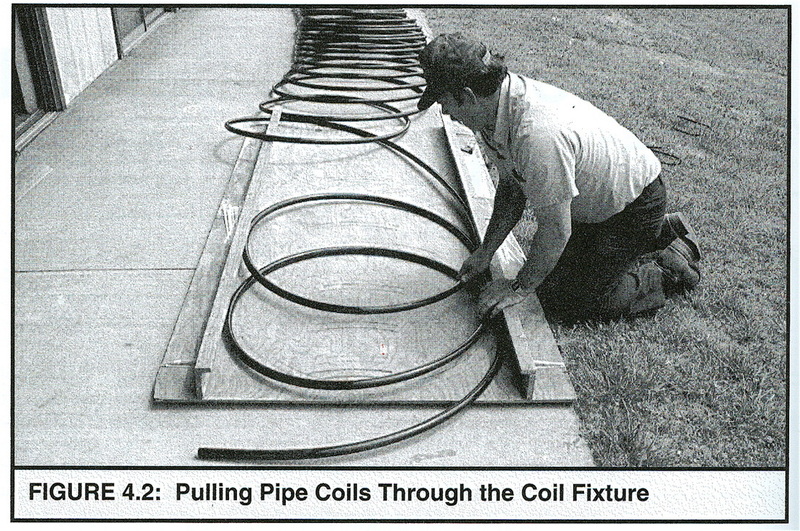 Reproduction rights also granted to members of the National Rural Electric Cooperative Association and the International Ground Source Heat Pump Association for use in their publications. 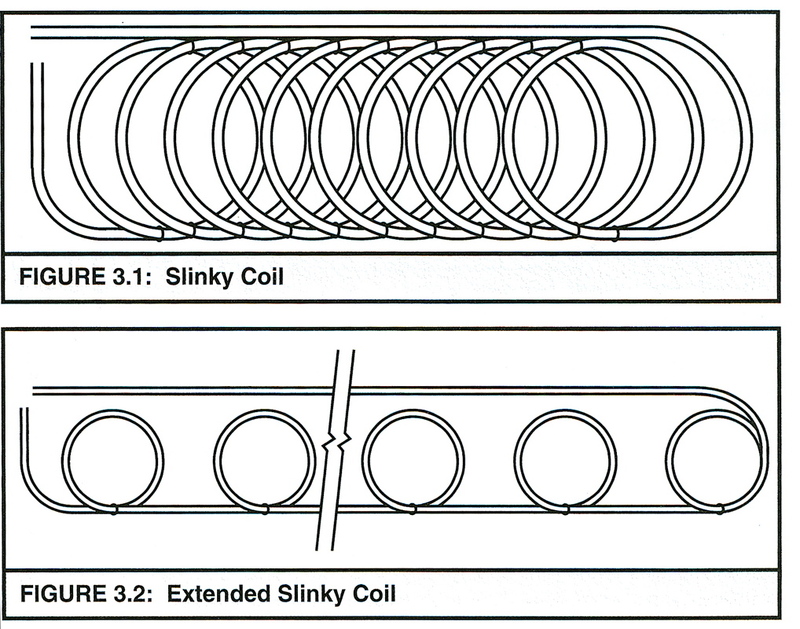 Creation of a slinky coil from a coil of raw pipe from the supplier. It DOESN'T need to be unwound first! 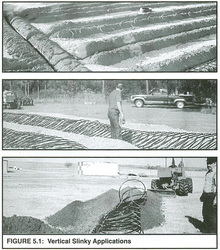 Oklahoma State tested both straight pipe runs and Slinky arrangements for horizontal ground loops in thermal conductivity studies, showing the worth of alternatives for great-to-poor soils and alternate trenching techniques where space or disturbance does not lend itself to large loop fields. 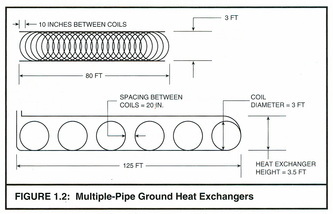 These studies enabled computer-based run-time modeling for ground source heat pumps that accurately forecast necessary loop length for a given building load. Precision and efficiency were enhanced for ground loop engineering—and this modeling now occurs at the installing contractor level. Membership in IGSHPA keeps practitioners in tune with the latest research findings. 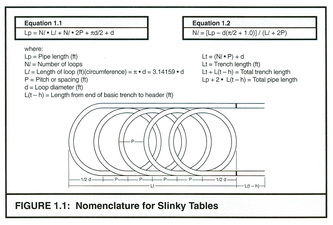 The Slinky Installation Guide features appendices which contain tables for seven pipe coil lengths from 500 to 1000 feet. 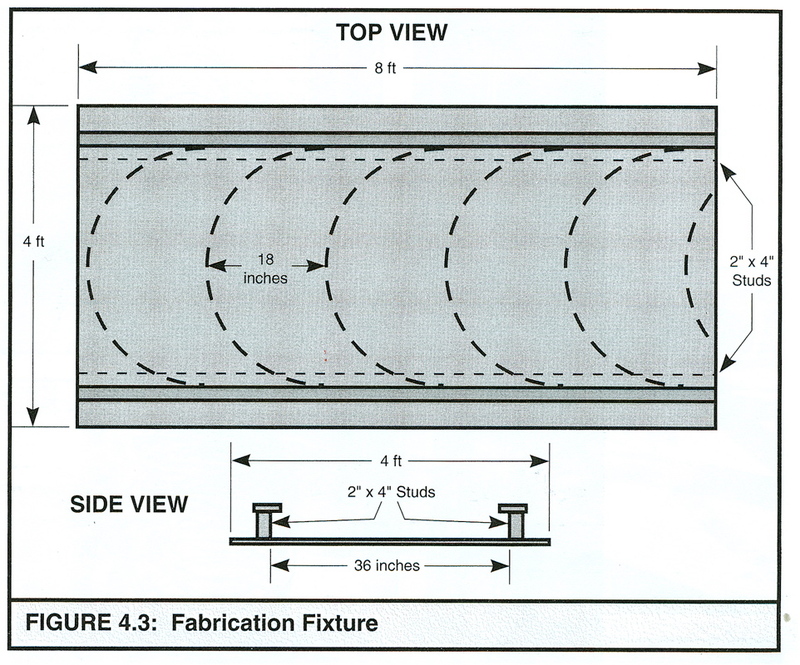 These tables feature loop widths and pitches necessary to accommodate those coil lengths in a particular length of trench. 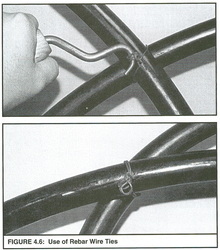 Interpolation can permit some design variation.